Owing to years of experience in the industry, we offer our clients functionally advanced range of Domestic Reverse Osmosis. 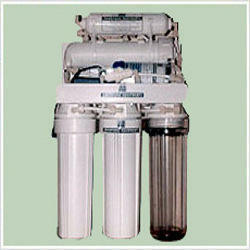 These removes the he dissolved and organic impurities from water. Offered products are corrosion resistant in nature and have high tensile strength. Additionally, our clients can avail these at economical prices.